Dance Voices is a window to the dance scene in Israel. 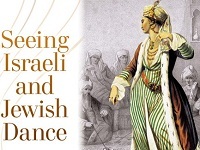 Dance Voice’s aim is to provide our readers with a collection of articles, commentary, and analysis on Israel’s dance history, significant dance works, and leading choreographers. Dance Voices will also try to show how Israel’s vibrant dance scene fits in the world of dance as a whole. Articles will be displayed in both English and Hebrew and divided in language-based categories, respectively. Commentary and analysis will be in English whenever possible in order to reach a wider audience interested in Israel’s dance scene. I was awarded a PhD in Dance Ethnography at De Montfort University, Leicester, UK in 2010. My thesis argues that there is an interrelationship between the processes of revival of Mallorquin traditional dance and the influence of tourism that has contributed to the formation of Mallorcan identities. Dr. Ruth Eshel was a dancer and choreographer from 1970 to 1987. She is the author of the book Dancing with the Dream – The Development of Artistic Dance in Israel 1920-1964, dance critic for Ha’aretz, and Artistic Director of Haifa University’s Eskesta Dance Theatre. 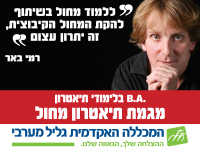 Her Ph.D dissertation (at the Tel Aviv University) was on Movement Theater in Israel, 1976-1991. 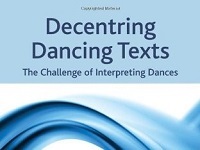 Rachel Bilski-Cohen is a dance critic, scholar and free-lance lecturere who writes in professional publications on dance theory, history and education. Rachel participates in various conferences, and lectures about Modern and Contemporary dance at the Goethe Institute, the Jerusalem Cinematheque, and other frameworks. Rachel is an active member in the board of directors of the "Train Theatre", "Mitveh" for art education, and "Keren Yosmot"- Educational projects. Till 1999 Rachel served for 10 years as a Dance consultant to the Israel Festival, and for many years have taught at Bezalel Art academy; Kerem- Teachers' College; And for 10 years was the director of Art Project at the Van Leer Jerusalem Institute. Rachel was invited to dance festivals such as: Montpellier Dance Festival; Tanz im August in Berlin; 2-Rencontres Choregraphiques Internationales de Seine-Saint-Denis in France (2002). Taught for many years at the High School of Rubin Academy of Music and Dance: Teacher of dance improvisation and composition; dance history; 20th century dance, dance literacy. Conducted numerous workshops in creative dance in Israel, Germany and the U.S.A., and directed the conference The Medium in 20th Century Arts at the Jerusalem Van Leer Institute. M.A. in Education at the Hebrew University, Jerusalem. Professional dance diploma- Laban Art of Movement, U.K.
Dance Studies at Universities in the U.S. Globalization and the Dance-World - Ongoing interactions and viewpoints. Lecture presented at the conference "Kunst der Welt oder Weltkunst?- Die Kunst in der Globalisierungsdebatte". The Evangelische Akademie Loccum, 24-26 May 2002, published in the Loccumer Protokolle of the Evangelische Akademie. Contemporary Dance in Israel. Lecture presented at the conference "IAM- International Arts Manager Magazine". February 2001. The Influence of Contemporary German Dance Theater on Israeli Dance. Lecture presented at the conference "Tanztheater today- 30 years of German Dance". Goethe Institute, May 1997 (English and German editions). Mythos on the Context of Modern and Contemporary Dance. Oldenburg University, 2006. 16 El Salvador Street, Jerusalem 96403, Israel. Dr. Astrid Bernkopf has danced as professional ballet dancer in Austria, Germany, the Czech and Slovak Republics. She studied pedagogies of ballet (MA with distinction) at the Academy of Performing Arts in Prague, where she also taught ballet at various levels. After this period, she commenced her studies at the University of Surrey, Guildford, where she now holds a PhD. Her research focuses on the narrative of the ballet scenario for which she has created a method of narrative analysis. Furthermore, she investigates approaches to analyse written source materials. As lecturer, Astrid started teaching at the Academy of Performing Arts, Prague, University of Surrey, Guildford, and London Metropolitan University. In the UK, she predominantly teaches Critical Theory and Performance Analysis and, additionally, History and Philosophy of History. She is Lecturer in Dance at Middlesex University.